Randal lives in Oak Park, Illinois, home of Frank Lloyd Wright, Ernest Hemingway, Ray Kroc and many other famous Americans. 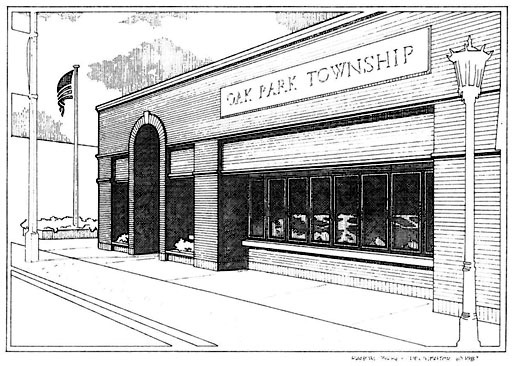 The local Oak Park Township community officials contacted Randal in the 1980’s to do an illustration of their new offices at 108 S. Oak Park Avenue. This line drawing was the result. It has been used in many print communications for the township over the years.